Exactly my thoughts Bob! For 38 years, I lived most of my life in Manila and Bulacan. While I have experienced performing all over the country in big shows and large venues during my heyday with Orange and Lemons, it was almost always a fly-in/fly-out thing and I hardly ever got a change to explore the cities and provinces we visited. Likewise, my own little personal travels are hardly enough to let me declare that I am no longer a foreigner or stranger in my own country. In the coming months, this will change as I embark on an extensive tour of the Philippines! From Pagudpod in the North to General Santos City in the South; Puerto Princesa City in the West to Tacloban City in the East, I will cover a total of 44 touring destinations to promote my solo project and debut album “The World Is Your Oyster” (which I hope you’ve all listened to and enjoyed!). This will be a non-stop backpack tour by land and sea heavily inspired by my desire to travel and personally experience the beauty of our motherland in one major sweep that will run from August to December. In between gigs, there will be side trips to various national parks, beaches, caves, heritage sites, and other destinations of interest to promote local tourism. Can’t wait to pack my bags, sling my travel guitar on and hit the road! My good friend Ian Penn who recently released his debut EP “Wild Abandon” will be traveling with me and will both open all my shows and help document the journey. Most of the stops on the tour will feature intimate acoustic performances. 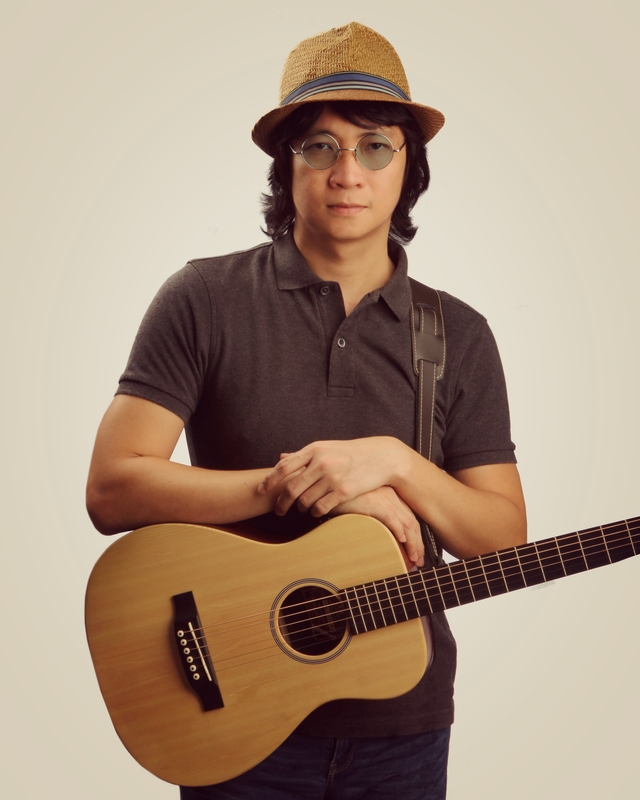 However, my bandmates (Nitoy Adriano, Vengee Gatmaitan, Pat Sarabia) will join me in selected cities on certain dates. I can’t wait, and I hope you’ll support me in this endeavor. I’d really love to see you all along the way. For detailed information per tour leg, visit/subscribe to my Facebook Event pages or check out Tour section of my website. 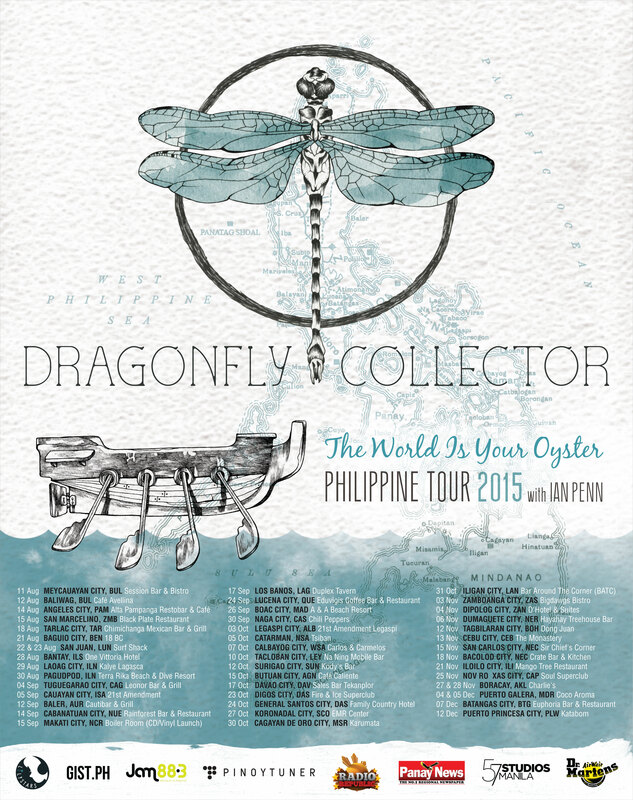 Dragonfly Collector: The World Is Your Oyster Philippine Tour 2015 is brought to you by Lilystars Records and is sponsored in part by Dr. Martens, Gist.ph, Jam 88.3, Pinoytuner, Radio Republic, Panay News, and 57 Studios Manila.